Zone 1: With the longer days, the semi-shaded vertical garden is becoming more lush and colourful – strawberries, chives and mint are delicious while lilies, gardenia and lobelia are coming back into flower. In the sunny raised beds the beans are up, recently planted tomatoes are flowering while the self-sown ones from winter are ripening daily. We’re planting zucchini, beetroot, basil… Red grape cuttings have sprung into active growth and are just about ready to be planted out on pergolas. Zone 2: Potatoes, garlic and parsnips have yielded a bountiful crop, coping with less than usual spring rainfall. Sultana grapes are abundant but still have a couple of months to go. Potted lime trees have been transplanted to former compost bin sites, with the bins moving on to fertilise other crops in-situ. As some seriously hot days creep in, we start planting to the east of anything shady – trees, cubby houses, fences. Some seeds haven’t germinated as the soil has been so dry, but well-established seedlings have made better progress. Zone 3: Apricots are beginning to ripen, as the lorikeets have observed, so it’s time to put up the nets that rotate from one fruit tree to the next throughout the summer. Our first mulberries are ripening too, not yet spotted by birds, while the boundary fences yield daily snacks of youngberries and cape gooseberries. The pond needs topping up more often now. Sleepy lizards are active here. Wattlebirds have discovered a new food source, intercepting our bees’ flight path – how they gobble so many without being stung amazes me. Compost made last month has broken down very quickly with frequent turning and is now just maturing, nearly ready to top up vegetable beds. Zone 4: Native hibiscus is in full and glorious bloom. It resembles lisianthus as a cut flower, doesn’t keep as long but is lovely while it lasts – and the trimming helps to keep the bush strong and dense. They are a little prone to branches breaking off in strong wind if allowed to get leggy. Zone 5: We look forward to a summer escape to discover new wild places on the Fleurieu Peninsula. Zone 0: December is the time to get the house and yard cyclone proofed. Check that the roof is in good condition. 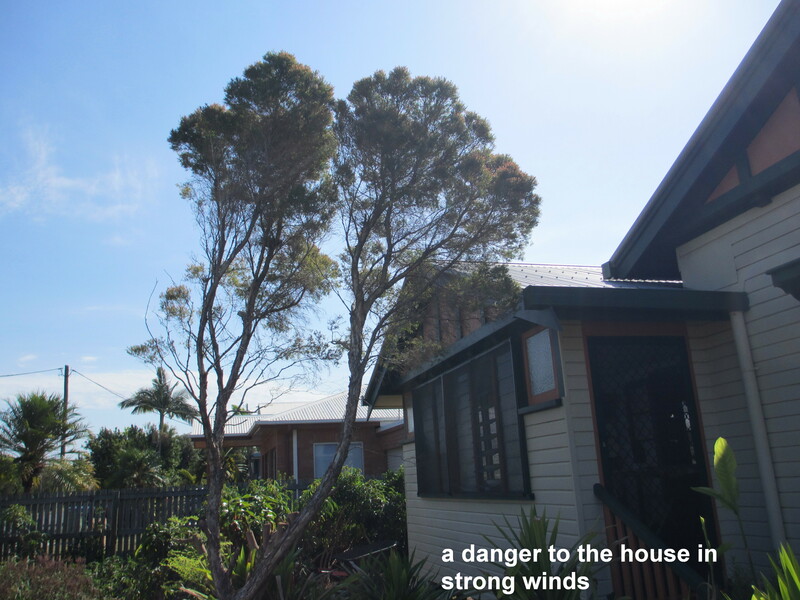 Look at trees within and beside the house and yard to check for overhanging branches, damaged branches which may become missiles or hit the house under the impact of the strong winds. It is also the time when water usage increases and the council starts travelling the streets checking on people watering out of allowed times. This is when the rain water tank and mulching prove their worth. Zone 1: It is now time to harvest and process the last of the tomatoes and pull out the vines and clean up the area if you haven’t done so already. The area can be planted to more summer greens such as red and green mustards, tatsoi, sorrel, silverbeet or okra. I use the taller growing okra to provide a little shade. The pea eggplant will continue to grow and fruit for a few years. It self-seeds and needs to be removed when it comes up in the wrong place. It is robust and thorny as you can guess from the common name of Devil’s fig. I have it planted underneath a bedroom window. Zone 2: Maintain watering and care of the greens and soy beans planted in this area. Zone 3: This is a good time to spread the trace elements and fertiliser where needed. Separate the applications by about a month or few good storms if you are lucky. Keep everything mulched or plant a green manure crop on any unused areas. The green manure will also provide ground cover and protect the soil from erosion and keep the surface cooler. It also allows for more water to infiltrate into the soil. Zone 4: Harvest and maintain trees and productive plants along the fence line. I have a barrier along the bottom of the fence line to keep any water on my property. This enables the water to stay there long enough to soak in to the soil. It also reduces the runoff as storm water and the resulting pollution of natural waterways. Zone 5: Check the trees for wayward branches which may impact on cars, pedestrians and the postie. The lemon myrtle (Backhousia citriodora) is in full flower. May I take this opportunity to wish you a Permaculture Christmas within budget and living proof of your level of self-sufficiency and may your dreams for 2015 come true. I thank the problems that I have experienced as they have provided me with the greatest opportunity to learn what was needed for the next stage of my life. The heat is on. Already we have days over 40 degrees. All fruit that hides in the shade survives, all fruit that was caught sunning itself shrivels and dies. Zone 0: “Christmas is coming and the goose is getting fat” sings the Christmas carol. Giving gifts is part of the permaculture ethos of sharing and caring. You don’t need to give gifts that cost the earth! Here is a list of environmentally great gifts for your loved ones. Zone 1: There are lots of foods in the summer garden. The pears and grapes are ripening, the young berries are plump and ready. There are lots of greens and little tomatoes which are more resistant to fruit fly than the big tomatoes. Zone 2: December is a crazy time to be picking fruit, but we can’t ask the trees to stop. Or can we? We were first faced with abundance when we bought an old site with huge plum trees. The trees were valuable to nurse the young saplings, shelter the workers in summer and great fun to climb in. But there was way too much fruit at once and it was infested with fruit fly. Even the chickens stopped eating the fruit. We tried traps with an assortment of yeast (vegemite and ginger beer) and fruit fly exclusion bags but still the flies triumphed. Eventually, through our ignorance and laziness, not pruning, the trees stopped fruiting and the saplings of fruit-fly resistant trees grew to replace them. Now the new mature trees are not troubled at all by fruit fly. Here is our permaculture plant list. Zone 3: The geese are valuable in our site as the guard dogs for the hens. The geese love eating the banana leaves and bamboo shoots. The poultry are busy munching on the weeds and more chicks are hatching. The chicks that hatch in summer rarely moult and are more easily cared for by forgetful mothers. Eggs are labelled with their date written in pencil so there are no nasty surprises in the kitchen. Zone 4: Old trees that are heavy with fruit need branch supports, these can be made with the forked end of pruned limbs. We tie these on loosely so they don’t fall in the wind. Any trees that are showing stress by over producing are given worm-wee and water from the tanks. We are very grateful for the shade that the big trees provide from the afternoon sun. Zone 5: The water dragons and turtles appreciate the ponds and we are lucky when we see them in the garden. It is essential to keep water in all the zones so the fauna can survive the raging hot summer days. The water management system is helping us keep a good green herbage as our fire-break in the wild Zone 5 area.